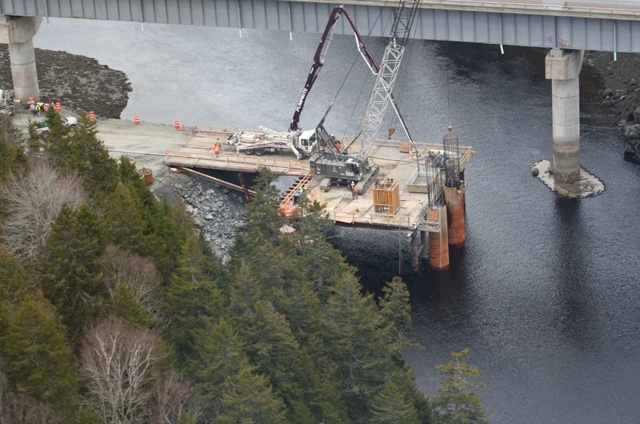 As part of the Route 1 Gateway Project, the Digdeguash River Crossing was built for the new westbound lane over the Digdeguash River at the mouth of the Bay of Fundy. 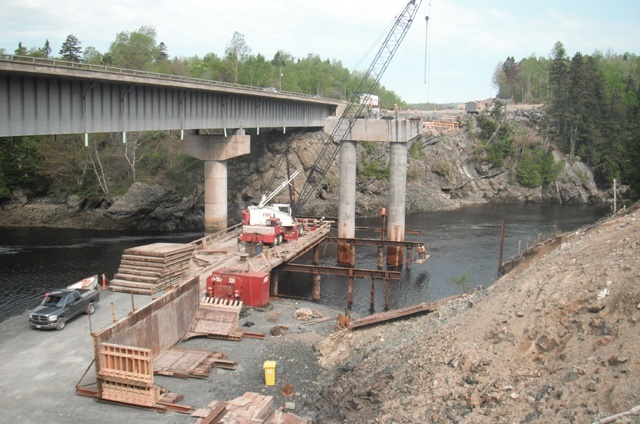 The structure's foundations consist of drilled concrete caissons for the centre pier and concrete abutments sitting on in-situ rock. Steel girders support a concrete deck. One of the major challenges in planning this project was the differential in the tides. 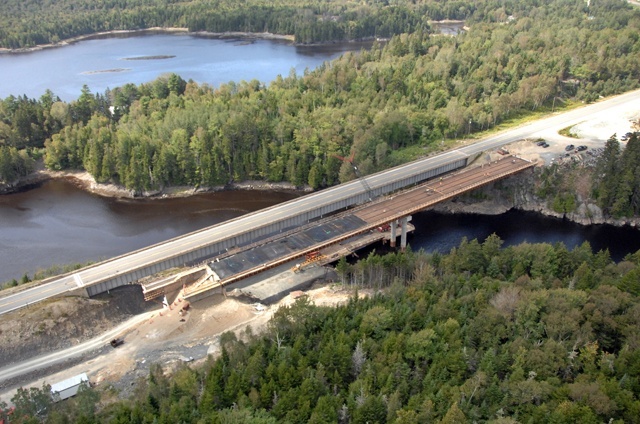 A tressle was chosen to support construction of the concrete caissons and pier structure. Environmental, quality, and safety management systems were in place for the duration of the project.